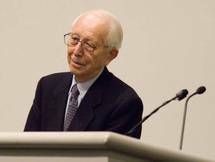 Kunio Maekawa was one of the masters of architecture of the post-World War II period and is considered the father of the new Japanese architecture. He studied architecture at the University of Tokyo, after getting his graduate degree in 1928, he traveled to Paris to work with Le Corbusier where he remained until 1930. In 1935 he opened his own studio and began his solo career. He introduced the expressiveness of concrete in the Japanese landscape. 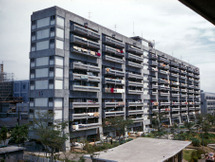 His notable works include the building housing Harumi Tokyo (1957), the office building of Janome (1965). 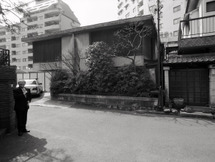 He was a teacher of Kenzo Tange who worked in his studio for four years.